Teju Cole introducing Ivan Vladislavic in Chelsea: “One of the best writers in the world… one of the great modern prose stylists.” Agreed. (Tweeted from 192 Books in New York, where Teju Cole, author of Open City, was in conversation with Ivan Vladislavić at the launch of And Other Stories’ edition of Vladislavić’s Double Negative). 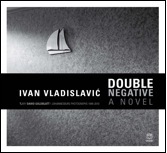 Released in November in the UK and the US by innovative UK-based small press indie And Other Stories, Ivan Vladislavić’s novel, Double Negative, is finally more readily available to audiences outside of the reach of South Africa’s sales shelves. This, as Patrick Flanery’s UK Guardian review reiterates, is, for many fans of Vladislavić, not before time. 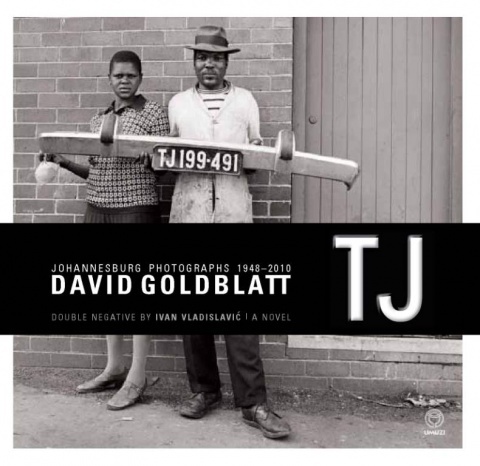 In fact, this edition is the third release of Double Negative, first published in a joint art package as David Goldblatt/Ivan Vladislavić’s TJ Johannesburg Photographs 1948-2010/Double Negative (Contrasto, 2010), and then released alone in trade paperback as Double Negative by South Africa’s Umuzi in 2011. And Other Stories is a grassroots, not-for-profit enterprise. Running on a collective model that is also ‘ecologically and ethically minded’, titles are funded primarily through reader subscriptions: every subscriber receives either two, four or six titles a year and in addition, their name is printed in the back of an individually stamped first edition – those whose support made Double Negative possible are listed through 6 pages at its back – a nice touch and clear recognition of the impact a subscriber can have for authors and voices that otherwise couldn’t come to the And Other Stories light. Foreign-language reading groups – ‘call them book clubs or reading groups’ – are, according to the And Other Stories website, ‘instrumental in unearthing a number of great books to publish in English’, something Amanda DeMarco of Publishing Perspectives has dubbed ‘editorial crowd-sourcing’ and welcomed in an industry notoriously poor on market research. Mostly in translation, then, And Other Stories‘ books are ‘new’, ‘challenging’ and ‘shamelessly literary’, a definition that publisher Stefan Tobler has in other places, redefined as “fresh, mind-blowing or young in spirit”. On this point, Vladislavić is a shoe-in for the And Other Stories criteria, his reputation as a ‘rare, brilliant writer’ (The Sunday Times, SA) preceding this UK/US publication, as well as being cemented there by Cole’s unequivocally positive assessments. But, although African and African diaspora writers are well represented on the And Other Stories’ reading-group lists – with authors from Benin, Equatorial Guinea, Angola, Mozambique – South African Anglophone writer Vladislavić is the first to be published by the press. Intrigued by how this multi-award winning writer, enormously well-respected in South Africa’s literary circles, might sit in this particular, alternative small-press context, I caught up with Tobler to talk specifics about his publication of Double Negative and more generally about the press itself. we ‘co-conspirators’ held our first meeting in September 2009 to thrash out ideas, brainstorming everything from whether books should be hardback or paperback (they’re trade paperback with French flaps) to whether or not translators should and could be paid well (they are). The concept that emerged was a company that would publish challenging, exciting international literature, often (but not always) basing its choice on the intelligent discussion of reading groups who would meet to discuss the books they love in various different languages. 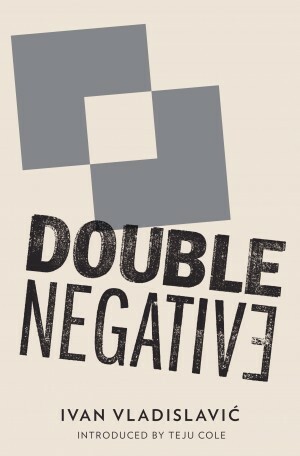 The UK and US releases of Double Negative are of the same edition on the same date. I do think that place is specific and clear in the writing itself, and that whatever we put on the cover or on the back will not affect the reader’s understanding of the locale very much. Of most interest, perhaps: we’re keeping the South African language as it is. We feel the same about varieties of English for authors as we do for translators. We choose our translators not for their national-linguistic background but for their depth of knowledge and love of the books they work with. Rather than engage in the hazardous business of producing different English versions for all the different English readers around the world, we prefer that each of our authors be allowed to speak in the best single voice our translators can find for them, to all their readers. In Vladislavić’s case, it seemed clear to us that his own South African English needed no alteration for readers elsewhere. There is some surprising vocabulary for an English or American reader (and a few people have asked why we didn’t include a glossary), but it is hardly an aberration for a book to have some words in that the reader does not yet know. It is part of the pleasure of reading that it expands the English we know. we wanted a writer who feels an affinity with Vladislavić, and who has a large readership outside South Africa, to introduce him to new readers. We had heard Teju Cole was an admirer of his writing, and Teju Cole is also a photographer, so he seemed an obvious choice. Another shoe-in for And Other Stories? Teju Cole is a Nigerian-American art historian and distinguished writer, a prolific tweeter (@tejucole), as well as photographer. Cole’s Everyday is for the Thief (Cassava Republic, 2007) is a novella with photographs; his award-winning novel Open City (Random House, 2012) shares, among other things, a ‘walking-the-city’ focus with Vladislavić’s urban, psychogeographic, non-fiction text, Portrait with Keys (Umuzi, 2006; Portobello, 2006). Cole’s pacey but considered introduction to Double Negative is – and perhaps pushing the ironies available – finely attuned to the book’s oblique relationships, its series of ‘imperfect doublings’ (p. 10). As well as illuminating the potential links that begin to emerge as these two writers with strong interests in the image and photography are collected together by the covers of Double Negative, Cole reminds us a) that this is a novel which, from its very title, may be ironising its own constant negotiation with flipsides, and b) of its brilliant, sidelong explorations of the relationship between visual and textual recording, set up through, but in no way dependent on, its original publication. The novel, at least on its surface edge (remember that title), is itself about photography, drawing together the growth of a young man, our protagonist Neville Lister, and his interest in some of the iconic images of Johannesburg taken during the apartheid era by its pre-eminent documentary chronicler, Saul Auerbach. Auerbach (who bears – perhaps – a passing resemblance to his real-life counterpart Goldblatt) obliquely ends up ‘fathering’ the development of Neville’s own career as an art photographer of the ‘post-apartheid moment’. Like the majority of relationships set up through the book, this generational one is ambivalent – one that sets in motion link after link of associative chains, each oblique but irrefutable. 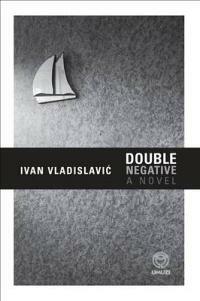 Cole pinpoints Vladislavić’s facility as a writer with the clarity of a series of expertly timed snapshots, highlighting the novel’s driving concern with the visual, with history and memory: ‘With a language as scintillating and fine-grained as a silver gelatin print, Vladislavić delivers something rarer and subtler than a novelization of experience: he gives us, in this soft, sly novel, ‘the seductive mysteries of things as they are’’ (10). 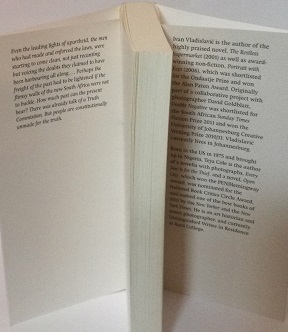 As they may be, two things for me are brought into view – the need for a broader audience for this novel and for Vladislavić, now being acknowledged as one of the best writers in the world today – and the need for continued support for ventures like And Other Stories, willing to take substantial risks, one of which is opening itself to and taking seriously more people’s ideas about publishing in order to retain the integrity of the works they present. More details on how to encourage both, individually and in these new associations, can be found at the And Other Stories website. And Other Stories will publish Vladislavić’s The Restless Supermarket, next year, ‘a classic novel about the post-apartheid era, brimming with surprising perspectives, urban satire, riotous imagery and outrageous wordplay’ (AoS). They will also be publishing Juan Tomás Ávila Laurel, an Equatorial Guinean writer of fiction and poetry, who was brought to And Other Stories attention by the translator Jethro Soutar in a recent And Other Stories Spanish-language reading group. See the site for the full list and details of how to subscribe. Want to propose a reading group and bring your passion to the And Other Stories’ fold? For more information and to propose a writer for a reading-group, see here. But be warned… “Perhaps Bolaño’s Savage Detectives was an inspiration with its brawling poets of Mexico City. Although the groups tend to happen or at least end up in a pub, we are generally much better behaved than Bolaño’s poets” (Stefan Tobler on And Other Stories’ reading-groups – note the ‘generally’).